Claremont M6 Dry & Steam Rug & Carpet Cleaning Company | Quality Property Care Ltd.
You can call us at 0161 823 0325 where our crew eagerly waits your call. 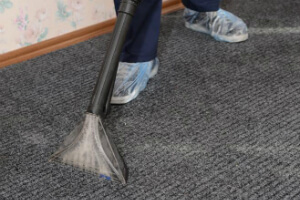 Contact our professional company and learn more about some other advantages of the service as well as how you can save money and time with Quality Property Care Ltd. domestic and commercial carpet and rug cleaning service in Claremont M6. Unlike ordinary synthetic carpets, rugs can be a tough task, when it comes to proper and comprehensive cleaning. Our rug cleaning specialists, though, are well-trained to deal with all types of rugs and carpets: cotton, wool, synthetic, linen, silk, viscose, suede, plush, chenille, nubuck, leather and acrylic. 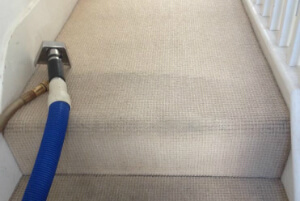 Depending on the fabric kind, the professional carpet cleaners in Claremont M6 chose the most appropriate method. Attention: we always test the detergents on the backside of the rug to ensure it will not get wasted. Remember that Quality Property Care Ltd. carpet cleaning company, though, performs only with examined and 100% eco-friendly cleaning detergents with no chemicals. Last, but not least, the carpet cleaning groups can also deliver: Mattress Cleaning, Bed Bug Mattress Treatment, Drapery Cleaning Curtain Cleaning Blinds Cleaning. Bear in mind that if you request more than one service, we will make a special discount for you! Get your offer now and don`t worry about the good hygiene at property tomorrow! We would be happy to assist you! The modern rug cleaning Claremont M6 approaches are now accessible and affordable ! This procedure is appropriate for some synthetic and natural elements and can remove greasy and oily stains from long and short fibers without leaving a trace. To properly clean an affected and stained area of your carpet or rug, we hoover the spot to take out any debris. This agitates the stain and will allow us to more quickly extract the dirt later on. Solids are removed and the place is pre-treated with a specific detergent which matches the chemical structure. It helps the hot water extraction technique melt the stain and leave no footprint. If the carpet allows it the spot is blotted so it better takes the detergent. Once done the cleaners employ a special hot water extractor which blasts the spot with hot water while simultaneously drawing all of the dirt and 95% of the moisture out. The heat and the pressure of the process, combined with the pre-treatment remove 99% of the stains with full stain removal if it’s fairly new. Old and set stains are almost impossible to be fully removed, so acting immediately when the stain occurs is very important to its proper extraction. There is some leftover moisture from the method, which will disappear safely within 3-4 hours, even fewer if you reserve our air movers. Regarding rugs we clean Wool rugs, Persian rugs, Chinese rugs, Tibetan rugs, area rugs, handmade rugs, shaggy rugs, silk mix rugs, Indian rugs, Play Rugs Turkish Rugs Egyptian Rugs, antique rugs, floor mats, entrance mats, logo mats, industrial mats, rubber mats and anti fatigue mats. To reserve our professional cleaning service call 0161 823 0325. Our specialist team of customer care agents is out there, helping you with the booking or responding to any questions you may have. We are available during bank holidays and weekends free of additional fee, with same day availability and flexible booking . Be sure to follow our website and check back often as we often have offers and deals which can save you up to 35% on your next offer. Don’t miss a chance to have the best carpet & rug cleaning in Claremont M6 at the finest prices in the Greater London area.